Astronauts Escape Failing Russian Rocket [VIDEO] - Joe.My.God. A US astronaut and a Russian cosmonaut were forced to make an emergency landing after their Russian Soyuz rocket malfunctioned en route to the International Space Station (ISS). 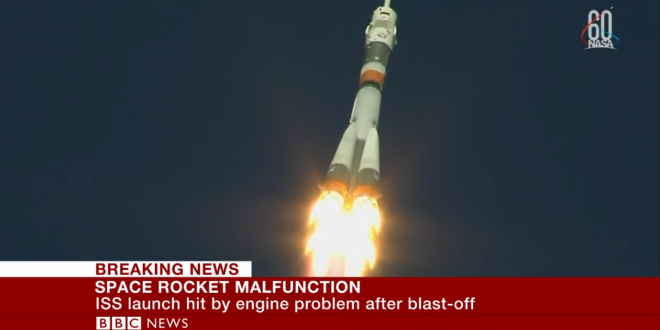 Shortly after taking off from Baikonur Cosmodrome in Kazakhstan, Nick Hague and Alexey Ovchinin reported a problem with the rocket’s booster. The men were forced into a “ballistic descent”, with their capsule landing a few hundred miles north of Baikonur. They have been picked up by rescuers. They are to be flown to the Baikonur cosmodrome and then on to Star City space training center outside Moscow.